The winter months were brutal and we were given a lot of snow, ice and freezing temperatures. Winter brought a lot of other stuff with it: Rocks, salt and road sludge. It isn’t a stretch to say you likely had a few things smack your windshield. Then of course there are the tree limbs that feel to the ground under the weight of ice – only after bouncing off of your windshield. Or it could be just plain ole road dings that leave your glass looking like a starry sky. Not a nice picture. Wrong. A little ding can turn into a big problem if you don’t take care of it. That little ding you got this past winter can grow, especially with the fluctuations in temperature that spring brings. So as you are doing your spring cleaning, check out your car for any nicks or dings in the glass and get it taken care of. Did you know that a crack in your windshield that is in the driver’s line of vision can get you a ticket? Yep, that’s not something to play around with. There are two routes you can go. You can replace the glass or with small dings or small cracks in your windshield you can repair it. Of course, repairing your windshield is faster, easier and more cost effective than replacement, so you probably want to go that way if at all possible. If the size of the chip a equal to that of a quarter or smaller or the crack is less than three inches long then the typical answer is windshield repair in MN has many businesses that can quickly repair a windshield. Some will even come to your location. Windshield replacement is another story. Replacing a windshield requires the vehicle to be at the shop. It is more expensive but if the location of the crack obstructs the driver’s view or the damage is severe then replacement is the only option. If you look around St Paul auto glass companies often offer spring cleaning specials or discounts. You can probably get in on a good deal and save yourself some cash. How to choose an auto glass repair shop. When you are looking for windshield repair in MN has some excellent choices. And after a Minnesota winter, you probably need someone great. Looking around St Paul auto glass shops are plentiful, but you want someone you can trust, someone who will take care of your car or truck with the same careful attention that you do. 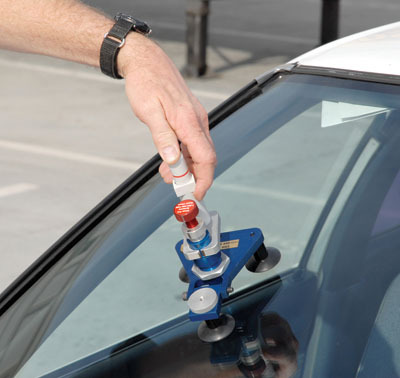 When it comes to auto glass repair Minnesota has some good choices. These five tips will help you choose an auto glass repair shop you can trust. Experience – are the technicians experienced and knowledgeable in replacing or repairing auto glass? Reputation – what to other customers say about the shop? Are they pleased with the results, the customer service, the turnaround time and the price? Cost – does the cost of the service fit into your budget? Stability – has this company been around for a while and does it have an actual address? Customer Service – how good is the customer service? If you have problems will they work with you and help you? Contact Only 1 Auto Glass for any glass repair or replacement that you need. Now, enjoy your spring cleaning!